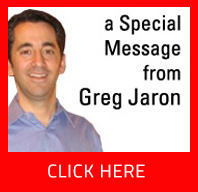 Jaron's TAKE HOME LAYAWAY- IMMEDIATE DELIVERY BEFORE ITS PAID FOR! Jarons Furniture is a New Jersey furniture store, featuring home furnishings in many styles and price ranges, superb customer care, and immediate delivery service in the New Jersey area. Jarons Furniture offers design services for the whole home. Every effort has been made to verify the prices and availability of the products contained in this website. However, in the event of a discrepancy, in-store information will take precedence.